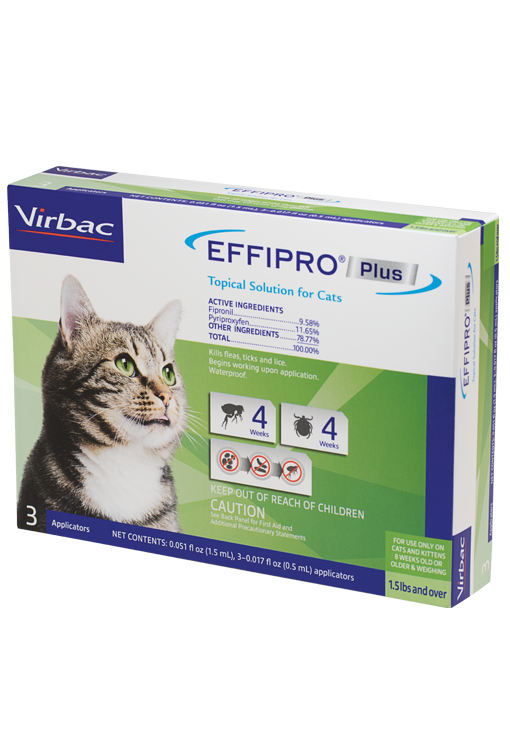 Choose EFFIPRO PLUS Topical Solution for Cats for convenient, quick-acting, long-lasting, effective control of fleas, ticks, mosquitoes and chewing lice for cats and kittens 8 weeks old or older. Begins working upon application and is convenient and easy to apply. EFFIPRO PLUS Topical Solution for Cats is effective after bathing, shampooing, water immersion or sunlight exposure.